Director, Center for Russia and Central Asia Studies, Shanghai Institute of International Studies. On November 5, 2018, Prime Minister Dmitry Medvedev will make an official visit to China, during which he will attend the opening of the first China International Import Expo (CIIE 2018) and hold his 23rd meeting with Prime Minister Li Keqiang. On the one hand, the visit is designed to boost China’s reforms and openness amid the rise of international protectionism and trade tensions between the United States and China. On the other hand, Russia will have an opportunity, which it is ready to use, to take over the US niche on the Chinese market. 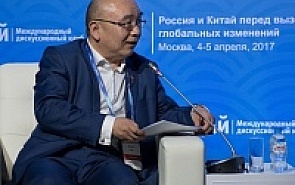 In the lead-up to this year’s G20 summit, the relationship between Russia and China is at a historically high point, Li Xin, Director of the Center for Russia and Central Asia Studies at the Shanghai Institute of International Studies told valdaiclub.com. The main sectors of cooperation between the two countries in infrastructure development have to be transportation, industrial development and advanced technology, a Valdai Club expert believes.